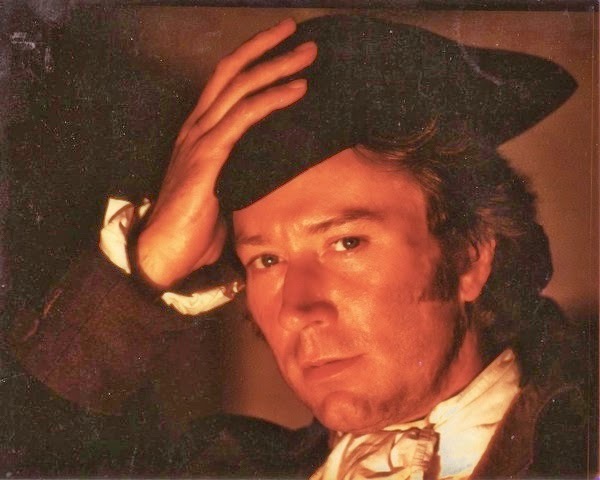 A couple of years ago Robert Lloyd of the LA Times did a lovely interview with actor Robin Ellis, the original Ross Poldark, about the making of Poldark and how it affected his life. It's worth reading the original interview but here are some extracts to whet your appetite. LA Times: Were you aware of the books beforehand? Robin Ellis: No. I suppose I must have heard of Winston Graham. He was a very considerable storyteller. He wrote "Marnie," which Hitchcock made into a film. His high writing time was maybe 20 years before, but then this revived it, and he wrote another eight Poldark books. The last one he wrote at the age of 92. It's called "Bella Poldark," and it's about Ross's youngest daughter and it's really good. Graham fell in love with Bella as he had fallen in love with Demelza [the series' heroine, played by Angharad Rees], and it revived his juices. She ends up playing Ophelia at the Old Vic! It's absolutely wonderful. I mean, that's an author having fun, at the age of 92. He wrote the first Poldark book in 1945, and attempt after attempt was made to make a film. But because it was four books originally, I think they just thought, "This is too difficult to compress into one two-hour movie." And eventually in 1975 the BBC picked it up and went ahead. LAT: When you're playing a character like this, do you put the same work into it as you would if you were doing Shakespeare? RE: The only difference is the time you have. We had six days of rehearsal for each episode, two days in the studio and one day off, a nine-day turnaround. It was like doing a play, really, because in those days it was done on five cameras in a studio between 7:30 and 10 at night. That's why in the first episode, I wish somebody had said, "OK, Robin, calm down. It's going well," because I was coming in there, really banging it out. LAT: You have great chemistry with Angharad Rees. RE: It was really extraordinary; we just hit it off. She's an interesting woman. Her father was a psychiatrist and ended up as head of the Royal College of Psychiatrists in the United Kingdom. A very bright woman, and naturally sort of vivacious and talented. And with an edge, a sort of natural edge. Demelza in the books is dark-haired, I think; Angharad had a little battle to retain her red hair, which worked tremendously well in contrast to Jill Townsend's Elizabeth, who is the classic English rose blond. But Angharad and I just hit it off temperamentally, and we just sparked off each other, and liked each other a great deal. LAT: Why do you think viewers reacted so strongly to "Poldark"? RE: I always say that it goes back to the original writer, Winston Graham, who writes stories with very strong characters. They're set in an historic context, but their everyday worries are people's everyday worries and problems — maybe enhanced by the exotic-ness of the 18th century but nevertheless identifiable. And he writes them so believably that people identify over the generations. I mean, this series was done 40 years ago, and it's still loved today in spite of the slightly creaky technical stuff. It has that universal appeal. Everybody loves being told a good story. LAT: What's it meant to have had that character in your life? RE: I feel honoured, really. It's quite rare for actors to have a role that positive as in their career at the right time; I just was incredibly lucky, really. People say, "Well, you'll be typecast," but in a sense one is always typecast because if you're any good in anything, there is part of you in a role. You're playing variations on a theme, in a sense. LAT: What is it that make him so attractive? RE: I think someone who leads and takes risks is attractive, because not everybody's prepared to do that.